Have you guys attended Mobile Word Congress 2014 (MWC14)? That congress was full of fun and exciting. Now everything is finished and this time Nokia had released their latest Android based operating system (OS) smartphone at Mobile Word Congress 2014.In this conference Nokia had released their three new Android based devices named Nokia XL, Nokia + Plus and Nokia X. All of them are Dual SIM smartphones. Now I am shared you some official reviews of Nokia XL Android based smartphone specifications, characteristics, price, released date and other details. Actually, Operating system of Nokia XL is powered by Android v4.1.2 (Jelly Bean) but without any facilities of Google Products like Google Play Store and others. If you used Nokia XL, Nokia + Plus and Nokia X you can see that all smartphones Graphical User Interface (GUI) is same with Android User Interface , Windows Phone User Interface and Nokia Asha User Interface. Now buyers have choice to enjoy three different mobiles Operating System User Interface such as Asha, Windows Phone and Android with one smartphone. 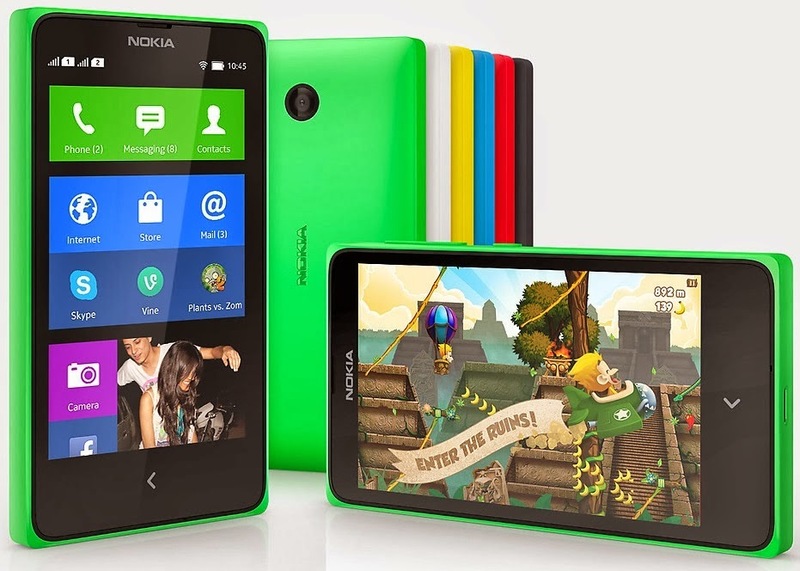 In this paragraph, we discuss about Nokia XL software and hardware specification. Firstly Nokia XL display - 5.00-inch, 480x800 pixels, Secondly Processor - 1GHz dual-core Qualcomm Snapdragon 8225, Thirdly Camera – Not Available, Fourthly RAM - 768 MB, Nokia XL operating system platform 1.0 based on AOSP 4.1.2, Nokia XL storage - 4GB + SD Card extendable up to 32 GB. Nokia XL is also certified with 3G facility. The main and important face of article is Nokia XL price. 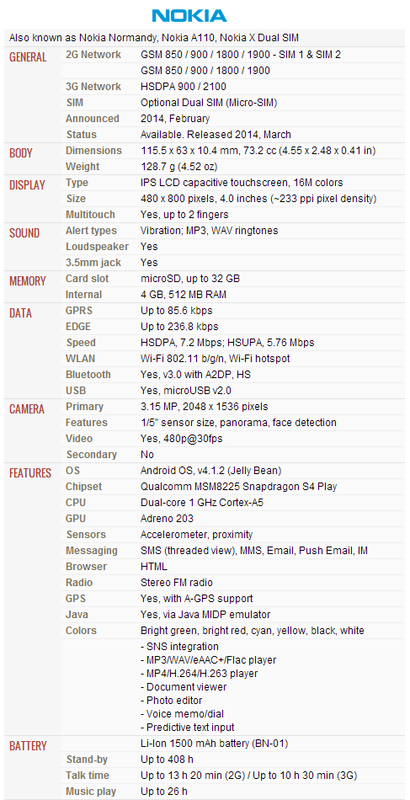 You can get Nokia XL approx. €109 Euros or $150 Dollars and release in Q2 2014. If Asian peoples want to buy Nokia XL then it’s also available in Asian market including Pakistan and India.